Digital Praise and Worship Partner is versatile software for facilitating personal devotions, group Bible study, church service praise and worship sessions. It comes with rich features for searching more than 200 popular hymns for particular words, learning new hymns by listening to the hymns as they are played while seeing the accompanying notes. One can vary the pace of the music. One can set the music to start playing automatically on selection of a hymn or to wait for the user to click the Play button. One can project the lyrics or music notes to a big screen, and more… Use options to customize the software to suit your taste. With Singing tutor you can: Improve your singing skill, tune musical instruments, measure voice tone, sing with mp3 song background and see your singing accuracy, listen your voice interpreted as a MIDI instrument. See the nearest music note to your voice tone. Sing some known melody, and Singing Tutor will show you how to play this melody with a piano or other keyboard instrument. Record and listen your own voice in wav format. 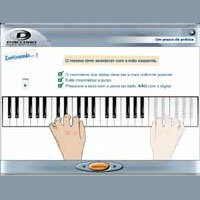 Select several notes from the pitch range and test your singing in the selected diapason. Impartial Singing Tutor will help you to estimate your abilities and develop your singing skills. Singing Tutor idea is simple. Each note has a defined pitch frequency. The higher note has the higher frequency and vise versa. 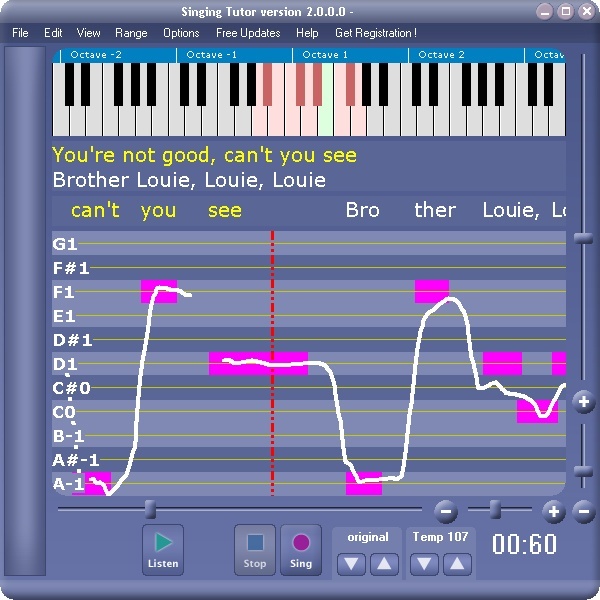 Singing Tutor allows to measure the pitch frequency of the voice or music, with high precision, and to compare it with pitch frequency of the reference note. Interesting fact: not everyone knows how to sing well. But peoples without musical training can not understand what is wrong. Among musicians it called by mysterious word – ear for music. This “musical ear” provides some subculture divide everyone into people who have it not. Nevertheless, ear for music can be evolved. Actually musical ear is just an ability to distinguish sounds of close height. 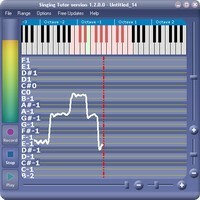 Singing Tutor is wonderful voice tone measurer. Its measure accuracy more than enough to discern sounds, which very close to each other. From that standpoint, he has a great musical ear. It immediately displays your voice tone, and the nearest musical note. So you can adjust your voice, making it slightly above or below. Also it can sing in harmony with you, playing nearest note your voice. In such a way Singing Tutor discover mystery musical ear. And giving you an excellent opportunity to learn sing better. Icesun Sound Recorder is a powerful sound recording and playing software. You can use it to grab any sound, including microphone, VCR, Telephone, TV, Radio, Electronic Organ, Video Tape, CD Player, DVD Player, dialogs from movies, game sounds, Streaming Audio on Internet etc. Captured sounds can be saved in WAV, MP3, OGG, Vox, G721, G723, G726, G729, AC3 and AAC files. The program offers direct support for RealPlayer, Winamp, Windows Media Player, Power DVD, Flash, Quick time and many others. It also includes a built in mini player, so you can listen to your recordings immediately after you finished recording. Icesun Sound Recorder can record any signal played through your sound card into audio files. The Resulting File list box lets you manage your file recording easily. You can set the recording information and edit the resulting file with a simple mouse click on the list box. Icesun Sound Recorder supports Sampling settings. To get higher quality recording, you can set the Sample rate, Mono or Stereo, and the Sample Bit, before recording. With its powerful sound engine, Recorder produces recordings with CD quality. Icesun Sound Recorder integrates the complete set of record volume control for your convenience. There are a number of hotkeys which allow you to control the recording functions of Icesun Sound Recorder while you are working in other programs. Recording time schedule support can start and stop recording at any time you set. Direct to disk recording can go on for as long as you need, provided you?ve got enough disk space. Easy to use and intuitional interface. Copyist is the music notation tool that lets you create with ease those tricky musical examples that more expensive and complicated programs trip over their feet trying to reproduce. Because Copyist treats notes, staves, clefs and other musical characters as graphical elements, you’ve got the freedom to put musical objects on the page regardless of musical rules. This freedom allows you to easily create small excerpts to be included in work that is predominantly text, as well as very complex scores which are difficult to create using software which must follow musical rules. Copyist lets you save your scores as .BMP, TIFF or .EPS files so that you can incorporate them into your Microsoft Word, Corel WordPerfect, Corel Draw, Adobe Illustrator, Adobe PageMaker and many other types of documents with a few mouse clicks. December 14, 2014 Home & Education, Music, SoftwareAHA! Software Inc.
NoteCard will turn you into a fluent note-reader. Work with the program for even a few brief sessions and you will find your ability to recognize and name the musical notes increasing steadily and without strain. The ultimate goal is not just recognition, but mastery: to know each note at sight without conscious effort or the risk of error, just as you are able to recognize the letters of the alphabet now. We believe there are important payoffs to mastering this vital skill early in one’s musical development. One of the biggest is getting rid of an annoying distraction: the need to laboriously decipher notation when you are trying at the same time both to cope with technical challenges and to express musical feelings. In addition, a secure grasp of note-reading builds confidence, encourages sight-reading, and helps make the most of other investments in music, such as lessons. The NoteCard software embodies both a Free Version and a Paid Version. Of course the Paid Version has some extra features, but both versions give you the core NoteCard benefit of fast, focused learning within an attractive and efficient Windows application. The Free Version of NoteCard has just the essentials, but is fully capable taking you all the way to being a skilled note-reader. Its features include: * Highly-focused, fun, note-reading drill. * Develop instant recognition of musical notes. 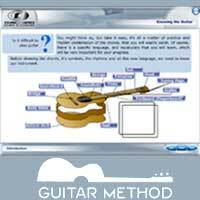 * Learn notes on piano, guitar, other instruments. * Easy introduction of notes over multiple “levels”. * Choose any clef – treble, bass, alto or tenor. The Paid Version of NoteCard has all that, PLUS: * Audio playback of notes to help lock memory. * Optional practice with sharps and flats. * Individual practice records for up to three users. * Progress analysis that keeps you motivated, on track. * Adaptive testing algorithm cuts learning time even further. 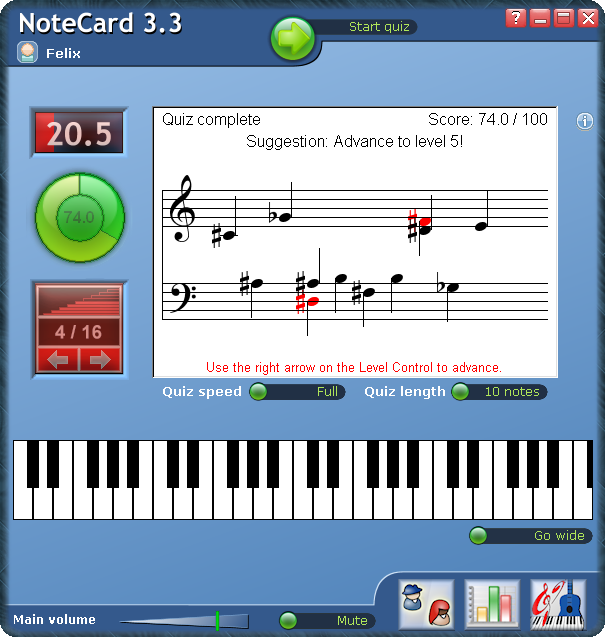 NoteCard is the first in the Ahead With Music line of music education products from AheadWithMusic.com. Your License Code: A License Code will be sent to you by email shortly after your payment is approved. If you have already downloaded and installed NoteCard, the code is all you need to permanently enable all the features of the software. Simply enter your name and paste the code into the spaces provided the next time you run NoteCard. Downloading: If you have yet to download and install NoteCard, a download link will be provided upon completing your order, or you can use the prominent `Download Now? links on AheadWithMusic.com. NoteCard currently supports computers running Windows XP, Windows Vista or later. Melodic ID provides advanced level, unlimited, graduated melodic dictation in simple and compound meters with immediate feedback and scoring. Melodic ID begins with scale steps 1, 2, 3, 4, 5 and skips of a third from a selected major or minor scale and continues through all keys, scale steps, intervals, and mixed modes. 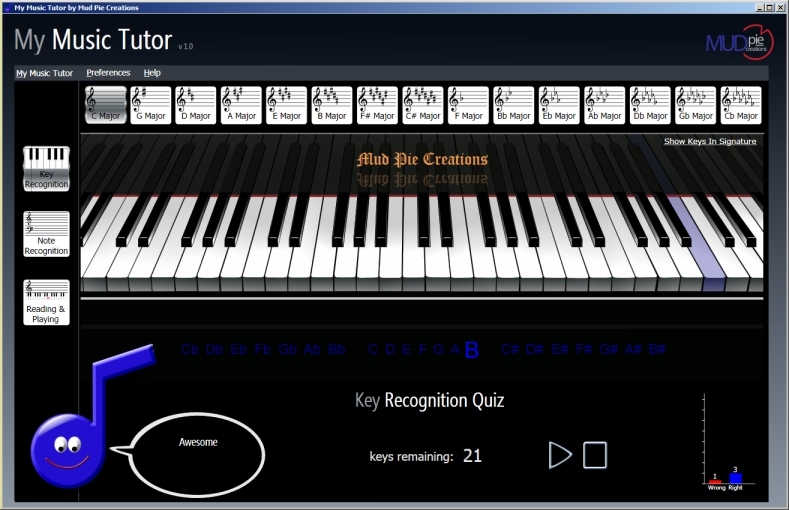 User clicks rhythm pattern buttons to notate dictated rhythm, repeats as necessary, scores rhythm, clicks screen keyboard to notate dictated melody, checks melody for errors, repeats and corrects as necessary, scores melodic dictation. Practice lowers number of required repetitions.